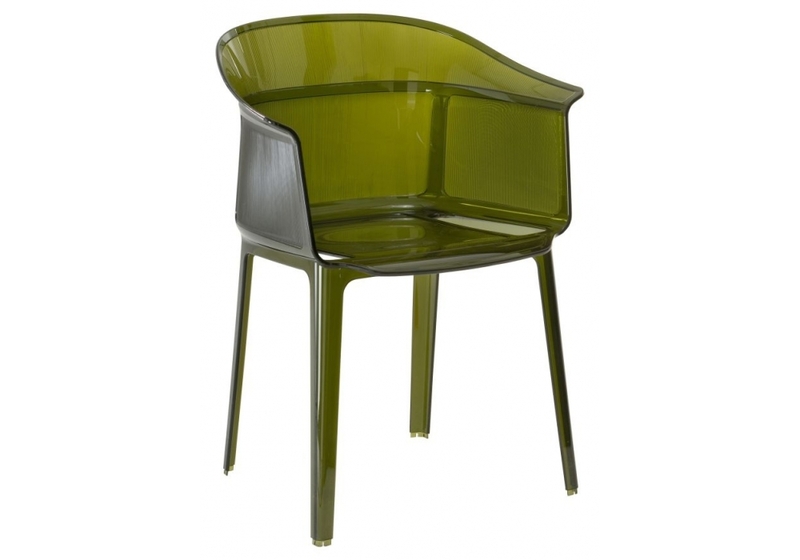 Papyrus is a chair designed by Ronan & Erwan Bouroullec for Kartell. 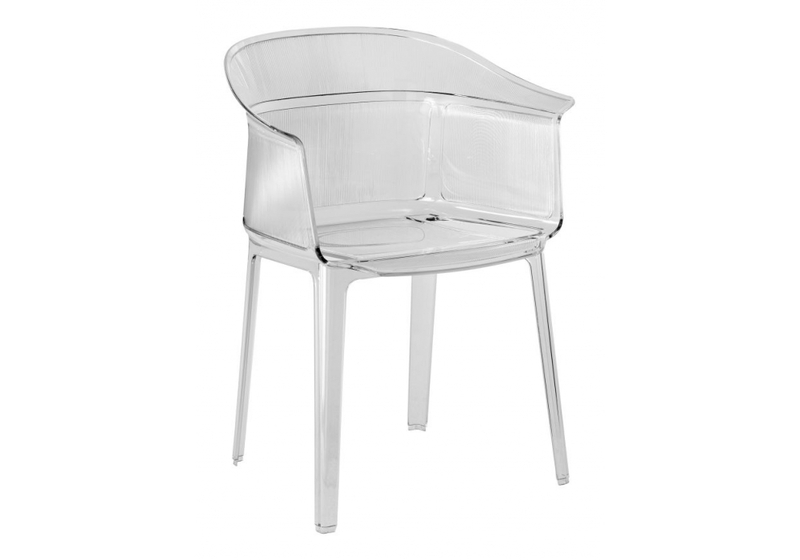 The Bouroullec brothers, a pair of designers with a highly iconic, sophisticated and conceptual style, have designed the transparent polycarbonate Papyrus chair for Kartell. 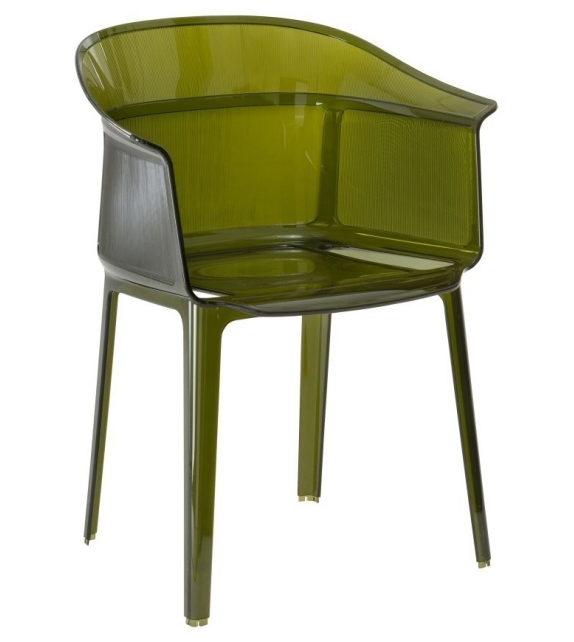 Papyrus is a chair designed by Ronan & Erwan Bouroullec for Kartell. 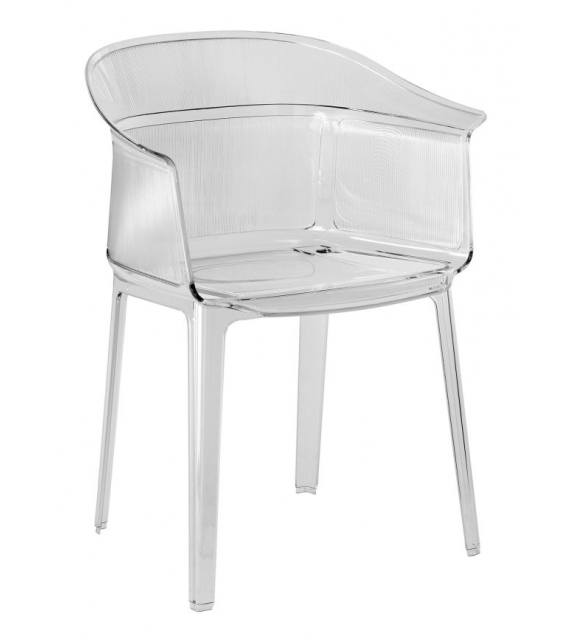 The Bouroullec brothers, a pair of designers with a highly iconic, sophisticated and conceptual style, have designed the transparent polycarbonate Papyrus chair for Kartell. An admirable marriage of simplicity and refinement, grace and memory, Papyrus is a remake of the archetypal antique rush chair, from a time when chair structures were decisive and strong. 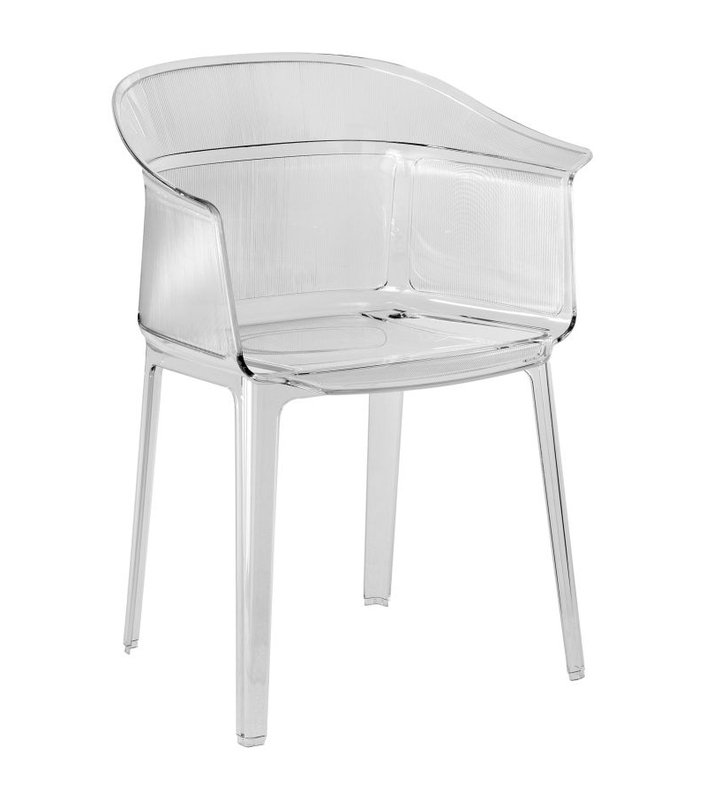 This chair combines a translucent support with a slender vertical pebbling, running along the entire outside of the rounded backrest, with its soft and snug lines. The seat is comfortable and welcoming, and the entire structure is light.Papyrus’ wide range of brand-new “old-fashioned” colors make the play of the worked surfaces even more evident and attractive.